Tuesday’s news across the St. Louis Cardinals minor league system, headlined by the expected activation of a standout outfield prospect. The St. Louis Cardinals’ Texas League affiliate in Springfield went a positive 3-3 on a long Texas road trip. According to his manager, lefty Austin Gomber made the necessary adjustments to become the Double-A club’s best pitcher right now. In Springfield on Wednesday night, St. Louis Cardinals second baseman Kolten Wong began his first of four games making up his rehab assignment at Double-A Springfield. Wong, 26, has been held out of action since June 14 with a right triceps strain which he initially injured during a rehab appearance on June 8 at Low-A Peoria, attempting to return from a left elbow injury that sidelined him for 13 games. Overall, the right-hander hitter is slashing .301/.393/.444 with one homer and 19 RBI through 153 at-bats (47 games) this season. Barring injury, Wong is expected to play five innings on Wednesday night, progress to seven innings on Thursday, rest Friday, and finish out his rehab with two full games on Saturday and Sunday. As always, these are tentative plans as his status will be re-assessed daily. Below is a transcript from Wong’s presser before Wednesday night’s game. In the media session, he discusses the injury and rehab plan along with much more. Media Member: What kind of pesky injury has this been? How limiting has it been for you? Kolten Wong: “It has been one of those things where one thing led to another. It has been kind of frustrating knowing I have been working on one thing, and it goes to my forearm first. Then my elbow and now my triceps. MM: How much have you been able to work in the field, work in the cage before coming here to Springfield? MM: What is the plan this week? Do you know exactly how many you are getting into to? The plan trying to get back to the big-leagues? MM: Those two stints on the DL and the team hovering around .500 and trying to catch the Cubs and the Brewers. How do you describe the first half of the season so far? KW: “It has been a crazy first half. I think the guys in the clubhouse we all know how good we are. We understand that we haven’t been playing our best baseball yet. To be where we are at right now knowing we are way better than what we have been doing. MM: How anxious have you been to be able to contribute more yourself as kind of getting back into the playoff race? “They have been doing everything they can to get us victories. Keep us close. I want to do what I can to help, too. MM: You already alluded to the plan but is the plan to play a full game tonight and then how does that progressing in this rehab assignment? MM: Baseball-wise, what are you hoping to get done in those innings that you play here? KW: “Just get back into it. It is definitely going to be different not playing for a month and then coming back. It is a pretty lengthy layoff, but baseball is not going to change. Go out there and play the game as hard as I can. MM: Outside of baseball, is there anything you want to do while you are back in Springfield? KW: “I didn’t really know what there was to do here. I was here strictly for baseball when I was here. Just enjoy being back here. I had a great time when I was here. Then see what it is about. MM: One of your teammates here Carlos Martinez making it to the All-Star along with Yadi. Just talk about those two guys and what they mean to this organization? KW: “Those two guys are kind of, they are it right now for us. They have been carrying this team, and obviously, we play with other guys, but to see what Yadi has done every single year we all expect him to make the All-Star game. You expect them to be good. MM: A lot of young players have been stepping up while you have been out. What does that to do your compete level and what have you seen from that? KW: “That is what it is about. This game is all about competition, and the guys have been coming in and definitely stepping up and doing what they can do, but everybody knows what I can do as well. It is kind of hard to match. MM: Does seeing Carp playing second base have any impact on you or change your approach anything like that? KW: “Absolutely not, no. It is at a point where if that is the route they go, then that is the route to go. I will be ready to come back and do whatever they need me to do. It is time to win. We are this close to being a playoff team. 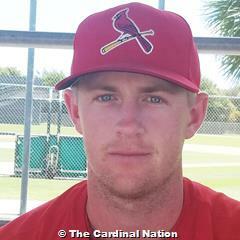 Learn about newly-acquired St. Louis Cardinals outfield prospect Lane Thomas from someone who knows him well, his hitting coach at high-A Dunedin. This is the second of The Cardinal Nation’s monthly two-part series in which we name our Players and Pitchers of the Month across the St. Louis Cardinals organization. While the Cardinals themselves recognize their top players as well, we undertake our own independent analysis unencumbered by the organization’s selection criteria. Let’s get right to it with a look at the list of June system-wide hitting leaders, starting with our honoree. While a number of position players in the Cardinals system had strong Junes, one offensive player rose above the rest, while utilizing a tremendous stretch to earn a promotion to Double-A. Our June Player of the Month is then Palm Beach outfielder and now Springfield corner outfielder Randy Arozarena. The 22-year old should also have a strong case to claim the still-to-be-announced Cardinals organization and the Florida State League Player of the Month honors. The Cuban native was making up for lost time in Palm Beach after a slow start to his first season with the organization. 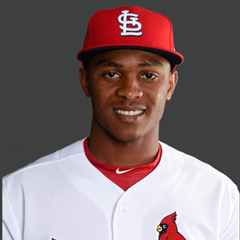 After leaving his homeland following the 2014 season, Arozarena sat out all of 2015, played in Mexico and signed with St. Louis last August before an aggressive assignment in his official Cardinals debut. There were many on-field challenges as well. He came in with a reputation for consistent contact with line drive power, but failed to show either to start the season. Arozarena batted just .105 with 11 strikeouts and one extra-base hit in his first 11 games (38 at-bats). In 21 games for the Beach Birds in June, Arozarena hit safely in 16 while being named FSL Player of the Week for the period of June 5-11, including a power surge with four homers over the course of five games. With that, the right-handed slugger was selected to the midseason FSL All-Star Game, where he also took part and won the pre-game Home Run Derby. Arozarena played in just one game following the All-Star break at Palm Beach before receiving a promotion to Springfield on June 30. While the opening was at the expense of Oscar Mercado’s injury, Arozarena earned his shot at Double-A. “I really like the adjustments he’s made on a daily basis,” Palm Beach hitting coach Erick Almonte told MiLB.com recently. “We’ve been facing a lot of good pitchers who throw hard, and his bat speed is incredible. He’s been much better at shortening his swing and going gap to gap. And the results are showing every day. One area of his game Almonte noted needs improvement is to show more patience in an attempt to increase walks. In the month of June, Arozarena controlled the strike zone well with a 14-to-6 strikeout to walk count (compared to 19-to-3 K/BB in April and 20-to-4 in May). 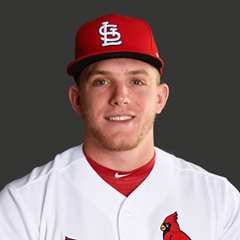 Had it not been for his strikeout to walk ratio (28-to-3 K/BB) and an unsustainable .397 BABIP, Harrison Bader could taken home the Player of the Month honor for June. That said, Bader did perhaps the most damage this past month with 14 extra-base hits (but in 23 more at-bats) and 19 RBI. Overall, the outfielder slashed .317/.355/.564 with a .919 OPS, and one pro scout said he was most impressed with his skill-set on that Memphis roster. “Definite everyday player with All-star upside,” the scout said. Cutting down the strikeouts is one key stepping stone to the big leagues for Bader going forward. Another player who received consideration is Springfield lead-off man Oscar Mercado, who recently went down with a shoulder injury. Prior to his move to the disabled list, Mercado paced the system with a June-best .339 batting clip that included nine extra-base hits (five doubles, one triple, and three homers) and six RBI, finishing with .865 OPS. Mercado was simply outperformed in terms of doing damage with the bat. Speedster Magneuris Sierra also had a robust June, posting a system-high .344 average along with .876 OPS to boot. The lefty Sierra even flashed some sock with his bat, producing 12 extra-base hits (10 doubles, one triple, and one inside-the-park home run). Memphis Mafia basher Luke Voit was on pace to have the strongest month among Cardinals prospects, but for a good reason, he didn’t. In his 20 games before his first call-up to St. Louis on June 25, Voit had a .957 OPS with four homers and 19 RBI. We should also not overlook the .338 batting average from Peoria outfielder Shane Billings, but it was mostly of the singles variety, with 21 of his 26 June hits one-baggers. Billings earned his promotion to Palm Beach to replace Arozarena. Two other players definitely also deserving of mention are Memphis’ Nick Martini and Peoria’s Ryan McCarvel, who batted .313 and .299, respectively. Martini had 15 RBI while McCarvel had a system-best 15 extra-base hits last month. Look the Cardinals organization’s announcement of their choices as the top performers from the third month of the 2017 season. The St. Louis Cardinals traded away international cap dollars but still signed at least nine players on the first day of the 2017-2018 period. This is the first of The Cardinal Nation’s monthly two-part series as we name our Players and Pitchers of the Month across the St. Louis Cardinals organization. While the Cardinals themselves recognize their top players as well, we undertake our own independent analysis unencumbered by the organization’s selection criteria. Let’s get right to it with a look at the list of June system-wide pitching leaders. While a number of starters in the Cardinals system had strong Junes, one hurler distinguished himself from the rest, utilizing a terrific stretch of pitching to land a big-league call-up before the end of the month. Our June Pitcher of the Month is Memphis starter Mike Mayers, who should also have a strong case to claim the still-to-be-announced Cardinals organization and the Pacific Coast League Pitcher of the Month honors. Among starters, Mayers led the Cardinals system with a minuscule 0.72 ERA, finishing second with a 0.88 WHIP and 29 strikeouts through 25 innings pitched in June. 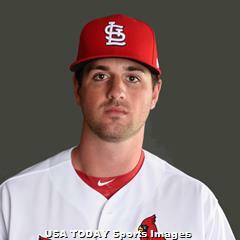 The Cardinals 2013 third round selection allowed a combined two earned runs over his four starts before receiving a call-up to St. Louis on June 25. The past two months have represented an impressive turnaround for the righty (3.67 May ERA and sub-1.00 June ERA) after posting a horrendous 8.15 ERA in four starts (17 2/3 innings) start off the season in April. Moreover, the adjustments were simple for Mayers, who was stinger with baserunners, driving down his opponents’ batting average (.395 April, .259 May, and .194 June) drastically in addition to his WHIP (2.15 April and 1.51 May). Had it not been for one abbreviated outing that skewed his monthly results, Mike O’Reilly might have been on the winning side of the spectrum. Regardless, the control artist continues to open eyes following being a virtually unknown product in the organization entering the 2017 season. O’Reilly followed up a terrific May (1.83 ERA) with a tremendous June, posting the system’s second lowest ERA (1.75) among starters. The righty had a remarkable 0.62 WHIP and held opponents to a .115 average through 25 2/3 innings. Springfield’s Dakota Hudson did not feature the same swing and miss results as the others above. The sinkerballer did boast the third-lowest ERA with a 1.93 mark, and his 1.13 WHIP is nothing to sneeze at either. His average of 12.9 pitches per inning was also one of the lowest among starters, so he was extremely economical this past month. Hudson’s June 22 start marked the longest outing of his career, as he navigated through eight shutout frames to extend his quality start streak to eight games. He should be in line for a promotion to Triple-A Memphis sooner rather than later. While he dealt with another back injury for part of the month, Luke Weaver was effective when on the mound with a 1.59 ERA through four starts. The slender-built righty had a 22-to-7 strikeout to walk over 17 innings hurled. Next up among our honorable mentions is another sinkerball in Jake Woodford, who had a 2.10 ERA in 25 2/3 innings at High-A Palm Beach. Woodford worked into the sixth inning in each of his four starts, including three into the seventh while showing promise with a 1.01 WHIP. Also with the Beach Birds, the often overlooked Ryan Helsley went a perfect 3-0 with a 2.25 ERA (five starts, 28 innings pitched), including a 23-to-7 strikeout to walk count. Starting pitching prospects Sandy Alcantara (Springfield), Marco Gonzales (Memphis), and Diego Cordero (DSL Cardinals) delivered 2.35, 2.55, and 2.63 ERAs, respectively. Next up will be The Cardinal Nation’s June Player of the Month announcement as well as the Cardinals organization’s choices of their top performers in the third month of the 2017 season. The Springfield Cardinals prepare for a second-half run with an evolving core, but Magneuris Sierra is a constant force atop the lineup. Manager Johnny Rodriguez likes what he sees in his Double-A club, even after several key promotions this past week. Cardinals Double-A hitting coach Jobel Jimenez discusses his team’s approach at the plate and progress shown by key performers during the first half. The St. Louis Cardinals announced a series of moves across the organization on Monday, June 26. The Cardinal Nation’s Derek Shore breaks them down, considering the implications. If there’s one prospect in the Cardinals organization, overlooked and overshadowed by his peers, Double-A Springfield second baseman Eliezer Alvarez fits the bill. Entering his first full season at Low-A Peoria last year, Alvarez, then-21, showed he was ready for the challenge, especially after being named a postseason all-star in the Appalachian League with the Johnson City Cardinals a year prior. Except for Alvarez’s teammates and higher-rated prospects, Edmundo Sosa (shortstop) and Magneuris Sierra (center fielder) garnered the same accolade, pushing him to the backburner. Based on his strong performance at Johnson City, the Santiago, Dominican native made the two-level leap with his peers to the Midwest League, and all three flourished in their first taste of 140-games. Once again, though, Alvarez, who ranked among the MWL leaders in most of the major offensive categories, was overlooked as he saw his double-play partner Sosa promoted to High-A Palm Beach by July and Sierra claimed a postseason all-star nod by season’s end. The table wasn’t completely bare as the Chiefs named Alvarez their 2016 team MVP as part of their annual internal team awards in an on field ceremony in September. To avoid being exposed to opposing organizations to the Rule 5 draft come the final day of Winter Meetings in December, the Cardinals added the three Peoria standouts to their 40-man roster in November. And all three scored invitations to their first big-league spring training camps a few months later as well. Alvarez was cut from camp from on March 13 and spent the vast majority of minor league spring training with the Double-A club and according to his manager had an “okay” spring. That’s said, the now-22-year-old was assigned to Springfield, making the proverbial jump over High-A to start 2017 and has officially been put on the fast track. For the time since 2014 at the Cardinals lowest U.S. affiliate in Gulf Coast League, Alvarez will play at a level without Sosa and Sierra on the diamond or in the clubhouse. Jimenez said two factors were involved in allowing Alvarez to make the jump as opposed to his peers. “Maybe the position he played,” the Springfield hitting coach said. “I know he’s a guy that needs to work more defensively. He’s a little bit more mature than Sosa and Sierra. His bat has moved him up this quick. So far through the first couple of weeks in the Texas League with Springfield, manager Johnny Rodriguez has taken a very cautious approach to help Alvarez acclimate both offensively and defensively. Particularly at a level which not only features eight teams but a league with pitchers that possess multiple pitches to throw in counts coupled with better pitchability. Offensively, Rodriguez has hit Alvarez mostly down in the order in the eight-hole to get a feel of Double-A first before hitting the ground running as the season progresses. “It’s another guy we have to take baby steps with,” the skipper added. “Little by little and be patient. For his age, he’s 22, but mentally he’s younger. So I’d say it’s a good thing for him. That way he’s only worried about one spot. That way he can get his head. Usually when they don’t hit. When you’re struggling, just play second base. “Right now defensively is what I’m more worried about. He wants to make the routine play. So he needs to adjust so he can slow down the game,” Rodriguez concluded. Through 12 games, the left-handed hitter has a .263 batting average (10-for-39) with a RBI double, five walks, and three stolen bases for Springfield. He also has two multi-hit games, too. Alvarez listed two differences about the Texas League versus the Midwest League last year. Headlining his skill-set is Alvarez’s bat, a simplified left-handed stroke with average bat speed that produces leverage and strength, giving him average raw power. He has quick hands and strong wrists and rarely gets cheated by a fastball or off balance within his swing. He commands the strike zone well, using the whole field with power and has proven to make consistent hard contact. While he’s not a pull-hitter, Alvarez likes to slash the ball to center to left-center field gap. That swing produced a fourth-best average of .323 in the Midwest League last year, finishing with 36 doubles (second), a .404 on-base percentage (second) and a .476 slugging percentage (third). “He will get plenty of chances to start at his level,” Jimenez said. “For sure, he needs to learn about this level. Understand the pitchers and pitch selection. He’s one of the guys that will have to make adjustments. One of the bigger improvements last year for Alvarez was his handling of same-sided pitchers. The lefty hitter boasted an impressive .347 average against southpaws in 98 at-bats for Peoria. “It was tough for him last year, and he was struggling against lefty pitchers (at the start of the season),” Jimenez said. “He started doing drills, hitting curveballs off the machines and stayed focused. Stayed left-center gap and left-field. According to scouts, Alvarez’s hole is poor plate coverage with his swing up and in. That’s an area he will need to refine to adjust against Texas League pitchers, who are apt to exploit it. With making a big jump to a new level, Alvarez will likely see his strikeout rate rise as it has so far into the young season. Last year, he struck out 96 times and recorded 53 free passes. At second baseman, Alvarez, who models his game after Robinson Cano, defense will be the main point of emphasis in 2017 as he committed 27 errors last year with Peoria. In the spring, the right-handed thrower benefited from working extensively with the Cardinals former third base coach and minor league fielding guru Jose Oquendo. With Springfield, the club has Alvarez working to improve his backhand which so far he has shown flashes of progression with a handful of smooth utilizing it. When asked what he considers the toughest area of his game, Alvarez said succinctly his defense. He projects as an average defender with fast hands, quick first step, and average-to-above-average arm and accuracy. The last remaining of his five tools, speed. On the base paths, Alvarez ran wild as he paced the Midwest League last year with a league-best 36 swipes in 51 attempts. He was successful 69 percent of the time he got the green light, and there’s no reason those numbers shouldn’t dwindle. While his bat is his carrying tool, Alvarez receives 65 to 70 grades for his speed, per scouts. Like most base stealers, he needs to learn to harness it better to become prolific in the craft of theft. Jimenez thinks his base stealing will get better if his performance at the plate improves. “First of all, he needs to stay more on base,” his first base coach said. “He has been working on pitch selection which is good. He needs to focus more on his on-base percentage. He’s still working on his jumps in the game. After skipping a level entirely, Alvarez is on the radar on track to contribute at St. Louis at some point in the next few years. In the meantime, he’s still learning the game like handling left-handed pitchers or mastering the backhand on defense and to speak the English language with assistance from his coaches Jimenez and Rodriguez along the way. Alvarez has the right frame of mind. Jimenez, who was with Alvarez last year, is looking forward to work alongside him for another season. “He’s still working,” he said. “He’s still learning because he’s a young guy. We will see for the first half. He’s going to show some improvements. He needs to stay healthy. He’s got plenty of goals to boot. “I’m going to work hard this year in all phases,” Alvarez said. “Mentally. Physically. I want to work hard to send a message to the people in the organization that I’m prepared for the next level. A bevy of young, talented arms are set to guide the Springfield Cardinals to a first-half title push to open 2017. Welcome back to our ninth year of providing results and much more from St. Louis Cardinals minor league spring training games here at The Cardinal Nation Blog. This year, I am joined in these recaps by TCN writer Derek Shore. Following are the highlights from the Cardinals minor league games held on Sunday against the Marlins, with all five games scheduled on the St. Louis side of the Jupiter complex. On Sunday, the Cardinals had a camp day with Double-A Springfield besting Triple-A Memphis while Peoria and Palm Beach finished with a draw. Overall, the system is 14-21-4 in 2016, including 10-17-2 versus outside competition. Once again this spring, Cardinals Baseball Operations Coordinator for Player Development Tony Ferreira shares highlights from minor league spring training contests. The raw data is his, but the comments and awards are ours. However, be aware that only minimal pitching and hitting results are being shared – what you see here. So to find those struggling, you will have to look for names missing or make some guesses. Remember these working team assignments are fluid by the day. In addition, another 16 players have yet to be cut from Major League camp. The former amateur wrestler turned pitching project, who is coming off a decent year with the Low-A (short-season) State College Spikes last summer, should be advanced enough to move on to a full-season assignment in 2017. Don’t forget that this guy, who is nicknamed ‘Dobz’, is only 21-years old with big, athletic frame and he is not even three full years into giving baseball a complete focus as a profession. After going under the knife twice and missing all of 2016 due to a broken hamate bone and wrist injury, Plummer by all reports is fully healthy and just needs to continue to get at-bats. The Cardinals former first round draft pick rehabbed all offseason at the Jupiter facility and it will be very interesting to see if he can recover enough lost time to make Peoria out of camp. Note: looking to become first to reach the big leagues after undergoing “primary” repair elbow surgery. Note: drew consideration for Player of the Day, if not for the loss. Good to see he is playing some more shortstop to increase versatility. Note: had an impressive big-league showing in ST camp; seems to have ditched the cutter and gone back to fastball/curveball combo. Note: broken wrist costs him several months in 2016; could see Double-A time this year. Note: effective lower-level reliever, looking to crack full-season club. Note: 2016 draftee who is known for his ability to back-flip. Monday’s games: The games Monday will be against the Nationals. The Triple-A and Double-A clubs will travel to West Palm Beach and A clubs will host Washington’s lower level affiliates at Jupiter. Games are set for a 1:00 p.m. EST. We are now into day six of our ninth year of providing results and much more from St. Louis Cardinals minor league spring training games here at The Cardinal Nation Blog. This year, I will contribute from time to time in these recaps alongside TCN publisher and editor Brian Walton. Following are Wednesday highlights of Memphis, Springfield, Palm Beach, and Peoria against the Washington affiliates with the two upper-level clubs playing at the Jupiter complex at Roger Dean and the lower A clubs in action at the Nationals facility in West Palm Beach. Collectively, the farm went 2-2 versus the Nationals with Springfield (2-3-1) and Peoria (1-4) coming away victorious against Harrisburg and Hagerstown, respectively. Memphis (4-2) snapped its three-game winning streak with a loss to Syracuse while Palm Beach (3-3) was bombed by Potomac. Once again this spring, Cardinals Baseball Operations Coordinator for Player Development Tony Ferreira is sharing highlights from minor league spring training contests. Remember these working team assignments are fluid by the day. In addition, another 17 players have yet to be cut from Major League camp. For the second time in the first week of doing these reports, Sandy Alcantara came out on top as a Pitcher of the Way. This time the Dominican ousted recently-optioned Luke Weaver (Memphis), who had been in the running for the fifth starter spot entering big-league camp. While he proved to be raw and scuffled to put big-league hitters away, Alcantara has handled more seasoned minor league hitters smoothly, logging three strikeouts and allowing no baserunners in two perfect innings in Springfield’s win over Harrisburg on Wednesday. He seems primed to make the jump to the Texas League to start 2017. Despite it being an exhibition contest where statistics aren’t official, Matt Davis had perhaps the most productive game of his pro career on Wednesday. The middle infielder, who has apparently added left field to his versatility, drove in nearly as many runs (three) as he had over 32 games (five) through stints with State College, Peoria, and Palm Beach last summer. Davis, 22, was signed as a non-drafted free agent in July and transitioned to the New York-Penn League following a three-year career at Virginia Commonwealth University. As a collegian, the right-hander slashed .300/.383/.423 with 14 homers and 104 RBI before struggling in his intro to pro ball to the tune of a .190 batting clip. For more, The Cardinal Nation members can check out the complete list of minor league spring training attendees (updated on Tuesday) and full minor league spring training game schedules. Also exclusively for TCN members is Walton’s annual series in which he predicts the opening rosters for all four full-season minor league affiliates and explain why. St. Louis was posted Wednesday, with the others to follow. The St. Louis roster prediction article is free for all readers. If you are not yet a member of The Cardinal Nation, seven-day free trials are always available. The entire system view by level and position as last season ended is available via the Roster Matrix, always free, right here at The Cardinal Nation Blog. Note: Was tentative in his St. Louis cameo last year; looking to get back to his strength of filling up the strike zone. Note: minor league depth signing from the left-side; could see the majors at some point in 2017 if the need arises. Note: glove ahead of the bat, but he has sneaky power and the wheels to take extra-bases. Note: make or break year for the polarizing hitting prospect. 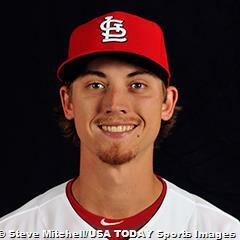 Note: broken wrist sidelined him for three months last year in Palm Beach; battling for a spot at Double-A this spring. Note: lone position prospect from Jaime Garcia trade; solid all-around skill-set with no power and looks to be the successor for Darren Seferina at second base for the Beach Birds. Note: TCN’s 2016 Johnson City Reliever of the Year; closer for the Appy League champions last summer. Note: effective lower-level reliever, competing for a bullpen spot at Peoria. Note: 2016 13th rounder out of Wingate University. Thursday’s games: The Astros are the Thursday opponent with four games slated to be played. Memphis and Springfield will host Houston’s Triple-A and Double-A clubs while Palm Beach and Peoria will travel to West Palm Beach to face off against the Astros respective A clubs as well. We are now into day five of our ninth year of providing results and much more from St. Louis Cardinals minor league spring training games here at The Cardinal Nation Blog. This year, I will contribute from time to time in these recaps alongside TCN publisher and editor Brian Walton. Following are Monday highlights of Memphis, Springfield, Palm Beach, and Peoria against the Houston affiliates with the two upper-level clubs playing in West Palm Beach and the lower A-clubs in action at the Cardinals complex in Jupiter’s Roger Dean Stadium. Collectively, the farm went 2-2 versus the Astros with Memphis (4-1) winning its third consecutive game while Palm Beach improved to 3-2 with a win over Buies Creek. Springfield (1-3-1) suffered another loss, and Peoria (0-4) remains without a win in the early part of the spring. Remember these working team assignments are fluid by the day. In addition, another 19 players have yet to be cut from Major League camp. Another round-tripper from the hot-hitting Stefan Trosclair was not enough to beat out Mason Katz’ complete day at the plate for a Memphis offense which plated 10 runs against Fresno. Katz knocked in three runs via a home run and double while coming around to score twice. He drew a walk as well. Katz, 26, is yet another prospect on the elder side after being limited to only 19 games last year between Springfield and Palm Beach due to a hamstring injury. That said, this is the kind of day that is a general reminder of why he was drafted in 2013 – his bat. Ross Vance easily had the most impressive outing on Monday, yielding two hits in Palm Beach’s 5-3 win over Buies Creek. The lefty logged a system-high five strikeouts over three scoreless innings pitched for the Beach Birds, topping fellow farmhands Matt Pearce, Ryan Helsley, and Juan Perez, who did not miss nearly as many bats as Vance. After signing as a non-drafted free agent last summer, the former University of West Virginia product dominated much younger competition in the Appy League as a then 24-year old. Vance fanned 54 batters against eight walks, posting a 2.48 ERA over 14 games (three starts for 40 innings) for Johnson City. He netted a championship ring in the process, but he will need to prove he is able to pitch in higher levels quickly given his older age. Coming from a sweeping side-arm motion, Vance has an unorthodox delivery with a high leg kick which gives him deception as he finishes his pitches. His slider is his best pitch, but his overall stuff is underwhelming. Note: Florida State League All-Star in 2016 with another consistent year, looking to find his place in the higher minor leagues. Note: likely will return to Springfield as a utility guy. Note: underrated right-hander with high-90s velocity, who could have won the Midwest League ERA title had he stayed healthy. Note: left-left outfielder, who spent last year with Peoria. Note: made a solid bid for Hitter of the Day. Has three homers already this spring. Note: split time between relief and starting for Peoria last year. Note: 22-year old non-drafted free agent signee is fighting for a full-season spot. Tuesday’s games: Like the parent-club, the Cardinals minor league affiliates will have a day off. We are now into day four of our ninth year of providing results and much more from St. Louis Cardinals minor league spring training games here at The Cardinal Nation Blog. This year, I will contribute from time to time in these recaps alongside TCN publisher and editor Brian Walton. Our notebook on the main site will feature eyewitness commentary from Walton. These more specific spring training reports will be available Sunday evening to members of The Cardinal Nation. Following are Sunday highlights with Memphis, Springfield, and Palm Beach all hosting the Marlins affiliates on the Cardinals side of the Jupiter complex at Roger Dean. In the meantime, Peoria played Peoria, but results from that contest will be posted in the more in-depth subscriber article on TheCardinalNation.com. Collectively, the farm went 1-2 versus the Marlins’ top three affiliates with Memphis (3-1) claiming the only win for the second consecutive day. Palm Beach (2-2) and Springfield (1-2-1) suffered losses. Remember these working team assignments are fluid by the day. In addition, another 22 players have yet to be cut from Major League camp. While Jordan Hicks might have garnered more interest among backfield spectators for his triple-digit velocity on Sunday, Corey Baker had the most effective outing for the system’s only winning team in Memphis and did not allow a runner to cross home plate. Baker tossed 2 2/3 one-hit innings, punching out three hitters in his first outing back from the World Baseball Classic for Team Israel. After gaining plenty of advocates from his strong WBC performance for Israel, Baker returned to baseball reality on Sunday and will look to secure a bullpen spot with the Redbirds – likely in a long man or middle relief capacity. With his versatility, the sinkerballer could also join the arms on the I-55 shuttle this summer as well. Despite dropping a one-run game, the Beach Birds received a solid performance at the dish from first baseman Hunter Newman. Newman collected two hits, including a two-bagger, RBI, and scored a run for the most balanced offensive day among Cardinals minor league hitters. Newman, 23, was drafted by St. Louis in 2015 via the 22nd round out of Trevecca Nazarene University. He split time between the Gulf Coast League Cardinals (21 games) and Johnson City (15 games) last summer, posting a .289/.359/.430 batting line with three homers and 22 RBI. Given his age, it appears the Cardinals will push him to a full-season club in 2017 to have him face age-appropriate competition for the first time in his pro career. For more, The Cardinal Nation members can check out the complete list of minor league spring training attendees (to be updated on Monday) and full minor league spring training game schedules. Note: One of the more consistent Midwest League bats last year. Might jump over Palm Beach to start 2017. Note: According to TCN’s Brian Walton, Hicks had multiple triple-digit readings on Sunday while touching as high as 101. With him pitching at Palm Beach in camp, it seems he could be earmarked for Peoria in 2017. Note: scored championship rings with GCL Cardinals and Johnson City Cardinals thanks to his dependable bat between the two clubs. Monday’s games: The Astros are the Monday opponent with Triple-A and Double-A clubs traveling to the new West Palm Beach complex. The Cardinals’ A-clubs host the Astros’ lower full-season affiliates in Jupiter. First pitches are set for 1 p.m. EST. We are now into day three of our ninth year of providing results and much more from St. Louis Cardinals minor league spring training games here at The Cardinal Nation Blog. This year, I will contribute from time to time in these recaps alongside TCN publisher and editor Brian Walton. Our notebook will also include eyewitness commentary following Walton’s arrival in camp on Friday. Even more specific spring training reports will be available Saturday evening to members of The Cardinal Nation. Following are highlights from the second day of Cardinals games against external competition on Saturday with the top two full-season clubs (Memphis and Springfield) hosting the Mets upper-level affiliates in Jupiter, where Walton was today. In the meantime, the Class-A teams (Palm Beach and Peoria) hopped the bus and commuted to Port St. Lucie. Collectively, the farm went 1-2-1 versus the Mets affiliates with Memphis (2-1) claiming the only win on the day. Palm Beach (2-1) and Peoria (0-3) suffered the system’s losses with Springfield (1-1-1) having the tie. Once again this spring, Cardinals Baseball Operations Coordinator for Player Development Tony Ferreira will be sharing highlights from minor league spring training contests. Remember these working team assignments are fluid by the day. In addition, another 30 players have yet to be cut from Major League camp. It can be argued that Blake McKnight’s scoreless effort for Springfield should have warranted the pitcher of the day, but the standout pitching prospect in big-league camp, Sandy Alcantara, was on the winning team at Memphis and went further than McKnight while also facing more advanced competition. Alcantara went three shutout frames, striking out three batters in his outing. Coming off making a terrific first impression in big-league camp with his electric stuff, the tall, formerly string-bean right-hander has apparently added 20 pounds of muscle since 2016, is currently vying for a rotation spot at Double-A Springfield. With more outings like this one, he should have no problem solidifying a spot. As the Memphis offense put up a seven-spot, Casey Grayson was a big factor, driving in two runs with a 2-for-3 day at the dish, edging out a home run from his teammate Thomas Spitz and two hits by Chris Chinea. A first baseman with little versatility, Grayson has a limited overall profile coupled with below-average power. 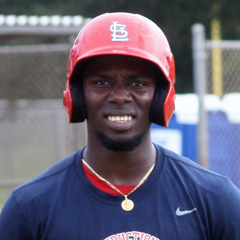 That said, he was voted by his peers as the Florida State League best defensive first baseman last year and has excellent plate discipline which has been his carry tool up the Cardinals ranks. For more, The Cardinal Nation members can check out the complete list of minor league spring training attendees (to be updated this weekend) and full minor league spring training game schedules. Also exclusively for TCN members is Walton’s annual pre-camp series in which he predicts the opening rosters for all four full-season minor league affiliates and explain why. St. Louis was posted Wednesday, with the others to follow. The St. Louis roster prediction article is free for all readers. Note: high-octane thrower’s first minors spring start; is he AA bound? Note: versatile outfielder, who reached Double-A last year. Note: TCN’s #50 prospect has live bat and continues to play first to expand versatility. Note: TCN’s Palm Beach Cardinals 2016 Player of the Year has disciplined bat which is Double-A ready. Note: sinkerballer, who should shift to bullpen this year. Note: only farmhand to have at-bats at four different levels last season. Note: valuable GCL reliever last year; nicknamed ‘Stones’. Note: toolsy outfielder, who should open with full-season club. Note: top draft pick last year showing good extra-base pop in the early going. Sunday’s games: The Marlins are the Sunday opponent for the first time this spring with three games (Memphis, Springfield, and Palm Beach) set to be played plus a Peoria on Peoria scrimmage on the Cardinals side of the Jupiter complex at Roger Dean Stadium. St. Louis Cardinals relief prospect Josh Lucas discusses re-signing with the Cardinals as a minor league free agent this past offseason, his spring success, and improvement in his stuff.